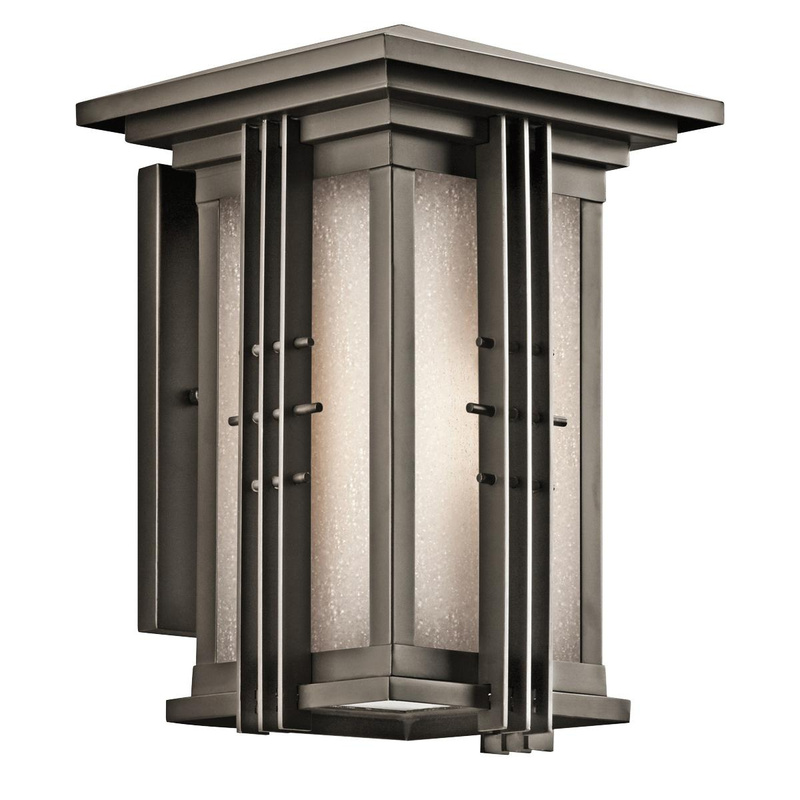 Kichler Portman Square Collection Outdoor wall fixture in olde bronze finish, features brass construction. Etched seeded glass shade brings elegance to your interior. Fixture accommodates one 26-Watt A21 hybrid incandescent lamp. Medium socket lamp has voltage rating of 120-Volts. It measures 9-Inch x 14-Inch. Fixture has base backplate that measures 4.75-Inch x 9.25-Inch. Outdoor wall fixture is wet rated.